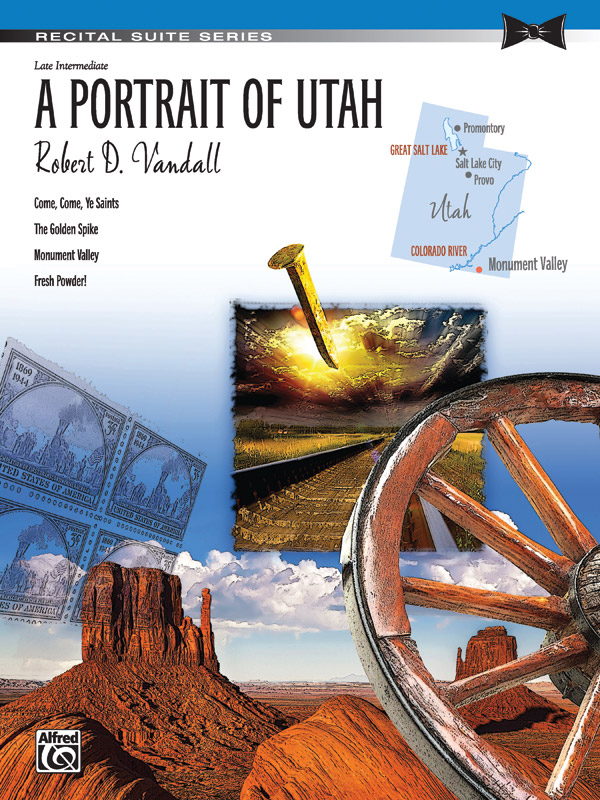 * A Portrait of Utah paints a musical picture of both the history and the heritage of the state of Utah. * Opening with an arrangement of the hymn "Come, Come, Ye Saints," the first movement is a beautiful tribute to the Mormon population. * The Golden Spike, the second movement, depicts the sounds of a train on the trans-continental railway, steadily drawing closer and then chugging away into the distance. * Monument Valley, the third movement, features open fifths and sixths representing the stark sandstone formations in this unique location. * Fresh Powder! brings the suite to a close with its fast and fun musical runs celebrating the great ski slopes in the state.